At an August baseball tournament in Peoria, Henry Skrimshander’s life changes forever when he catches the eye of sophomore Mike Shwartz. A month later, Henry finds himself at Westish College, able to continue playing baseball. Guided by his favourite book, The Art of Fielding, Henry proves himself to be a skilled shortstop. In his junior year, scouts are showing interest in Henry, who has lead the Westish Harpooners to success. When Henry makes an unexpected mistake in a game that puts his roommate in the hospital, his error serves as a spark for change in his life and in those connected to him. The College president finds love in someone he never imagined having feelings for. His daughter Pella has just left her husband of four years and has returned to her father. Schwartz becomes jealous of Henry's success and feels that his life isn’t going anywhere. Henry’s pending success and the pressure seems to have hindered his skill. And Owen, recovering from his injury, finds himself in a relationship that could end badly for both involved. Henry’s skills as a baseball player were extensive, but can something extraordinary last forever? I have a strange relationship with sports. While I’m horrible at every single one and have very limited understanding of any sport, I still love the energy you feel in the stands when watching a game. I’ll always enjoy a good, inspiring sports movie, especially if the main character is an underdog. And Henry Skrimshander is definitely that. Skinny and often overlooked, at seventeen he looks fourteen or fifteen. As the book begins, he is finishing playing summer baseball, and believes that he will have to go work in a factory instead of going to college. Michael Schwartz finds him a place at Westish after seeing him play, and Henry seems to have everything he ever wanted. I was drawn to the characters from the start, and I think that one of reasons for all the praise is the characters that are so realistic that they jump off the page. I picked this book up entirely based on hype, and it wasn’t until I started reading that I realized this book is about baseball. Any fears I had about reading 500 pages about a sport I know little of were erased by the writing. The plot was interesting and well paced, although things started to drag on midway through, leaving me feeling that this book would have been better if it ended 100 pages sooner. 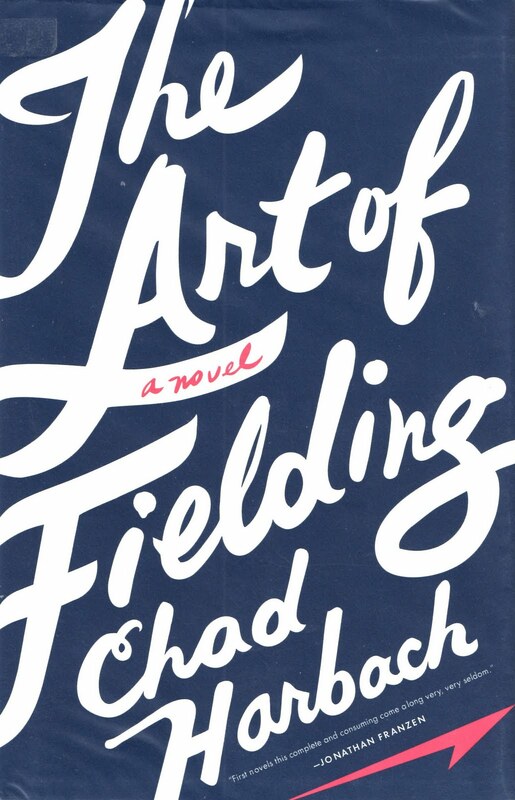 At its core, The Art of Fielding is a character driven novel. The only character that didn’t feel developed was Owen, but maybe that was the intention. Since Owen is the only one of the main characters whose point of view we don’t see, perhaps he was supposed to be a bit of an enigma. I loved the writing, and it was a truly absorbing novel that made me forget everything else. Overall, this book felt a bit dull at some points, but it was essentially an enjoyable book that was more about people becoming who they want to be, and less about baseball.